Movies have the ability to transport us to another time in history or a galaxy far far away. They allow us to experience what it’s like to save the world, defeat the bad guy, and have a storybook ending. Are there lessons we can learn from the movies we love? Absolutely! 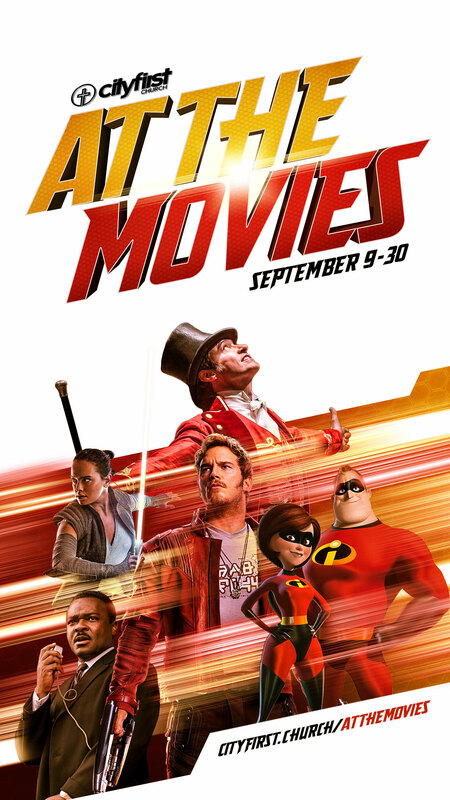 So invite a friend, grab some popcorn, meet your favorite characters, and find a seat—At the Movies premieres September 9 at City First Church and is only available for a limited time! 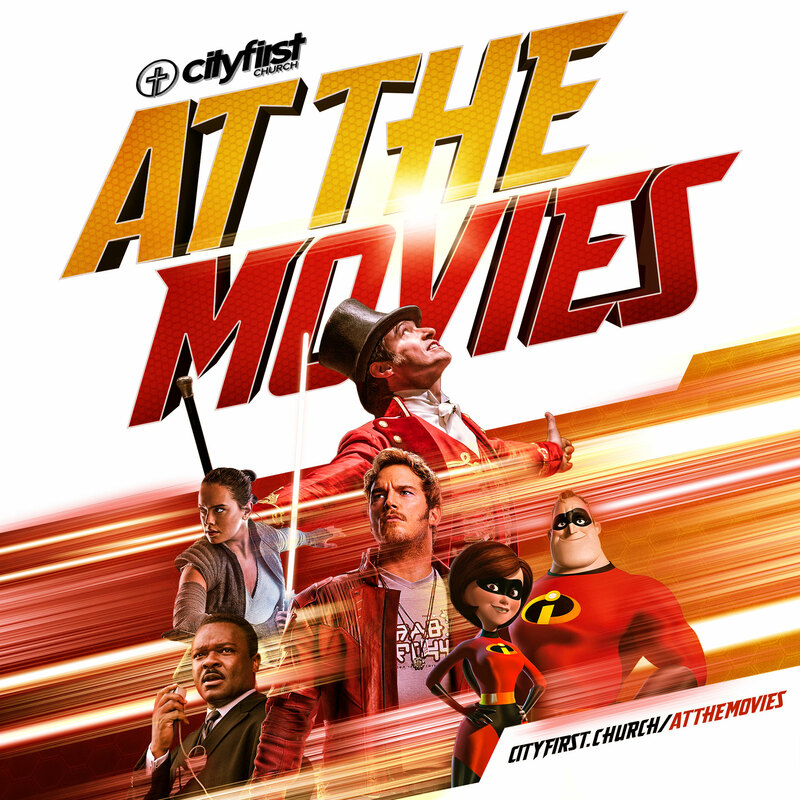 Due to copyright restrictions, messages from At The Movies will only be available at City First Church Online and on the App. We're bringing movies to life! 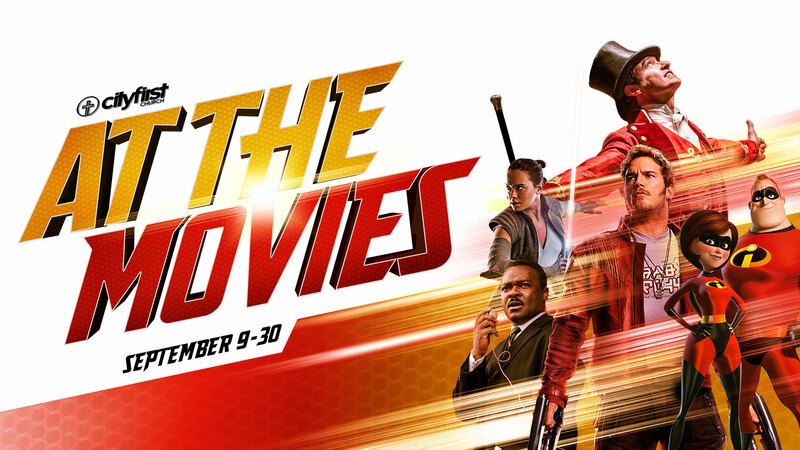 We’re transforming our church into iconic movie sets and experiences that will make the kid in all of us geek out! There’s something for the whole family to enjoy when you visit City First Church during At The Movies!